In LifeWatch Services Inc. v. Highmark Inc., the Third Circuit determined that a medical device company had plausibly alleged a conspiracy among Blue Cross Blue Shield health insurance companies to deny their insured coverage for telemetry monitors. The decision reversed a district court ruling that the plaintiff had failed to allege anticompetitive effects sufficiently to show that the challenged restraint was unreasonable. Specifically, the Third Circuit held that the plaintiff had plausibly alleged an agreement by the Blues to refuse to deal with the plaintiff in a relevant product market. It further held that the complaint properly alleged that the restraint had anticompetitive effects harming consumers by, among other things, reducing output, choice, and quality. The plaintiff, LifeWatch, is a manufacturer of telemetry monitors, which are used on an outpatient basis to monitor electrical activity in the heart. Telemetry monitors are one of several types of devices used to monitor cardiac activity, and in many cases telemetry monitors are interchangeable with other types of outpatient cardiac monitors for treatment of heart conditions. The defendants are Blue Cross Blue Shield Association (“BCBSA”), an umbrella organization licensing the rights to the Blue Cross and Blue Shield trademarks to 36 Blue Cross Blue Shield insurance plans (the “Blues”), as well as several of those Blue plans named individually (the “Blue Plans”). Together, the Blues allegedly are the dominant insurer in the country, insuring 105 million Americans, or almost half of all Americans with commercial health coverage. The district court dismissed LifeWatch’s claims “for failing to allege anticompetitive effects, and therefore failing to establish the restraint was unreasonable.” The district court noted that the Blues treated all telemetry providers equally, so there was no “competition-reducing” conduct. Instead, the court declared, “the Defendants’ refusal—whether concerted or not—to purchase any telemetry device—whether produced by LifeWatch or not—is not an antitrust violation, but rather a legal exercise of Defendants’ monopsony power.” Further, in dicta, the court also suggested that the Blue plans could have independently decided not to cover telemetry devices, so that LifeWatch even may have failed to allege an agreement, which is required under Section 1 of the Sherman Act. On appeal, the Third Circuit considered four issues: existence of an agreement among the Blue plans, definition of the relevant product market, anticompetitive effects in that market, and antitrust standing. The Third Circuit first noted that an agreement can be shown either by direct or circumstantial evidence and, if relying on circumstantial evidence, a plaintiff must allege both parallel conduct and something more, known as a “plus factor.” Here, the Third Circuit concluded that LifeWatch had pled parallel conduct—i.e. each Blue Plan’s denial of coverage of telemetry monitors—plus additional evidence implying a traditional conspiracy. First, LifeWatch alleged that, although BCBSA’s model medical policy is not mandatory, the “Plans agreed with each other and the Association that they would substantially comply with the model policy.” This agreement, known as the “Uniformity Rule,” was enforced by the Association through audits, and Plans that strayed from the model policy were subject to sanctions. LifeWatch further alleged that one Blue Plan, Highmark, stopped covering certain types of telemetry monitor claims due to pressure from other Blues. And finally, LifeWatch pointed to other insurers’ coverage of telemetry monitors, as well as medical studies and claims appeal panels considering telemetry monitors to be medically necessary, to further undercut the notion that the Blue Plans would somehow independently and in unison decline to cover the devices. As the Third Circuit summarized, in addition to alleging an agreement, LifeWatch had plausibly alleged “an auditing mechanism by which the agreement is enforced, a particular time when a Blue Plan declined to cover telemetry monitors due to pressure from the Association and other Plans, and the improbability that the same coverage decision would be reached by nearly all the Blue Plans independently.” Viewed in the light most favorable to LifeWatch, as is required in considering a dismissal motion, all of these allegations were considered to be supportive of an agreement between the Defendants, even without direct evidence. The parties had agreed that LifeWatch’s claims should be analyzed under a Rule of Reason framework, which required LifeWatch to allege a relevant market. The parties further agreed that the geographic market was nationwide. The only remaining dispute was the relevant product market. The complaint alleged an “outpatient cardiac monitor” market, consisting of telemetry monitors as well as other types of cardiac monitors, including event monitors (a third of the cost of telemetry monitors, with shorter data collection windows) and insertable monitors (eight to ten times the cost of event monitors, and less frequently used.) The district court rejected LifeWatch’s alleged market definition, and adopted a telemetry-monitor-only market definition, which it then cited for the proposition that there could not be anticompetitive effects among telemetry monitor providers because they were all treated equally. The Third Circuit rejected that determination, noting that typically, “courts are cautious before dismissing for failure to define a relevant market” until the opportunity to conduct a fuller factual inquiry has occurred. The complaint plausibly alleged that all types of outpatient cardiac monitors were interchangeable, as they captured the same type of data for the same purposes. The Third Circuit stressed that it was immaterial that there were some distinctions in cost and function among the monitors; instead, “differentiation is often present among competing products in the same market.” But more importantly, given that this case involves an alleged buyer-side conspiracy, “the interchangeability that matters is for purchasers of outpatient cardiac monitors,” not suppliers. According to the complaint, patients rarely purchase cardiac monitors and do not constrain Blue plans’ ability to control purchases or prices; thus, “only established insurers effectively control purchases of outpatient cardiac monitors.” As such, LifeWatch plausibly alleged a national market for the purchase of outpatient cardiac monitors, in which the Blue Plans compete with other insurers. LifeWatch alleged that the Blues’ “concerted denial of telemetry monitor coverage has harmed consumers by reducing demand for and output of more effective devices, by interfering with a patient’s choice of medical treatment, and by reducing the quality of cardiac monitors in general.” The district court rejected this argument, reasoning that no anticompetitive effects could exist when a restraint treats all sellers of telemetry monitors equally. But given that the Third Circuit agreed with LifeWatch that the relevant product market included other outpatient cardiac monitors, it noted that such equal treatment of sellers of telemetry monitors could still restrain competition in the market for all cardiac monitors, in the ways alleged by LifeWatch. Having concluded that LifeWatch stated a viable antitrust claim, the Third Circuit next turned to the question of whether LifeWatch had antitrust standing. The parties disputed whether LifeWatch had suffered antitrust injury, i.e., injury flowing from defendants’ unlawful acts and of the type the antitrust laws were intended to prevent. As to the first prong of that test, the Blues argued that intervening factors, such as a Blue plan’s ability to individually decline coverage of telemetry monitors, or a doctor’s discretion to not prescribe telemetry monitors, served to cut the causal chain. The Third Circuit was not persuaded by this argument, citing to LifeWatch’s allegations—i.e. coverage by other insurers, medical literature finding “medical necessity,” and appeals of claims supporting coverage—for the proposition that universal denial of coverage would not occur absent the “Uniformity Rule.” Further, the Third Circuit agreed with LifeWatch that denial of coverage sufficiently was alleged to have been the means by which the Blues depressed demand for telemetry monitors, which reduced competition in the actual plausibly-alleged product market of outpatient cardiac monitors. Many of the district court’s reversed determinations in LifeWatch v. Highmark stemmed from the initial flawed premise that telemetry monitors alone constituted a relevant product market. LifeWatch v. Highmark provides strong support for the notion that market definition is an inherently fact-driven inquiry, and cautions courts against dismissing plausibly-pled product market allegations simply because some product differentiation exists. In addition, the opinion provides guidance to litigants in addressing “plus factors” in the absence of direct evidence of a conspiracy. Industry and trade groups should take note that agreements to substantially follow model policies could subject members to antitrust scrutiny. 902 F.3d 323 (3d Cir. 2018). Id. at 334 (emphasis in original). 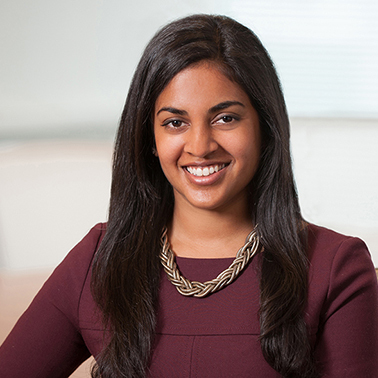 *Swathi Bojedla is an associate in the Washington, DC office.